Young Norman Babcock (Kodi Smit-McPhee) has something of a Cole Sear thing going on at the start of Paranorman. Like the embattled boy from The Sixth Sense, Norman sees dead people — all the time. When the film opens, he’s watching a horror movie on the TV while his dead Gran knits on the sofa, but neither her presence nor the movie seem to faze him. Norman has also come to terms with the fact that his unusual talent inevitably makes him an outcast amongst his peers, who delight in expressing their scorn in the brutally straightforward fashion of High School kids. He copes with this ridicule by withdrawing from the real world and into one of horror movies and comics, and only reluctantly admits the equally put-upon fat kid Neil (Tucker Albrizzi) into his enclosed world. Natural order is disrupted when a grungy crazy guy informs Norman that it is his destiny to assume the role of bedtime story-teller to the vengeful spirit of a child witch who was lynched during a 16th Century witch-hunt. Each year, a bedtime story must be read to her on a certain night so that she will sleep for another year instead of unleashing her wrath on the town that unfairly cast her as a witch — and which has been using the fact as a tourist attraction ever since. When the old boy dies within hours of informing Norman of this, it’s down to the boy to save the town from the dead child’s anger. 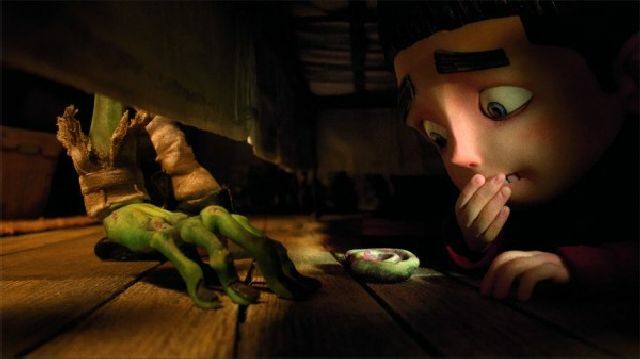 Made by Laika, the production company that made the memorable Coraline in 2009, Paranorman enhances a somewhat uninspired storyline with some nice touches of humour and unnervingly lifelike animation. While the characters are all pretty much caricatures of real-life types, their facial movements, hair and skin shading are all astonishing realistic so that, even when the action slows, there’s always something happening on screen that grabs our attention. 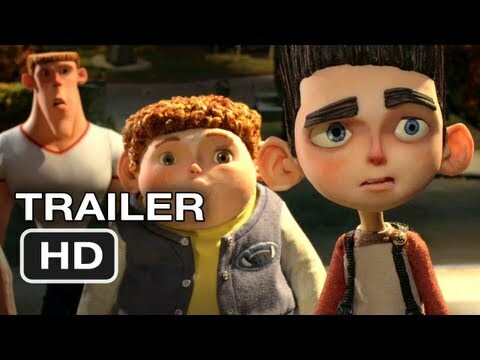 Most animated features released these days devote as much creative energy towards keeping the adults in the audience as entertained as the kids, and while Paranorman holds true to that template, it’s probably fair to say that it’s the kids who will get more fun out of the movie. There are a couple of laugh-out-loud moments for the adults, though, and a gay reference near the movie’s end that has created no end of debate on internet forums — although the movie deserves to be remembered for more than that one throwaway joke, regardless of whether it was inserted with any kind of political agenda in mind. Paranorman is a good movie, but it doesn’t quite do enough to distinguish itself from the ever-growing back catalogue of digitally animated features.